Natural gas company Novatek launches the third train of its grand Arctic plant more than a year ahead of schedule. At the same time, the first tons of LNG are reloaded near North Cape in Norway. 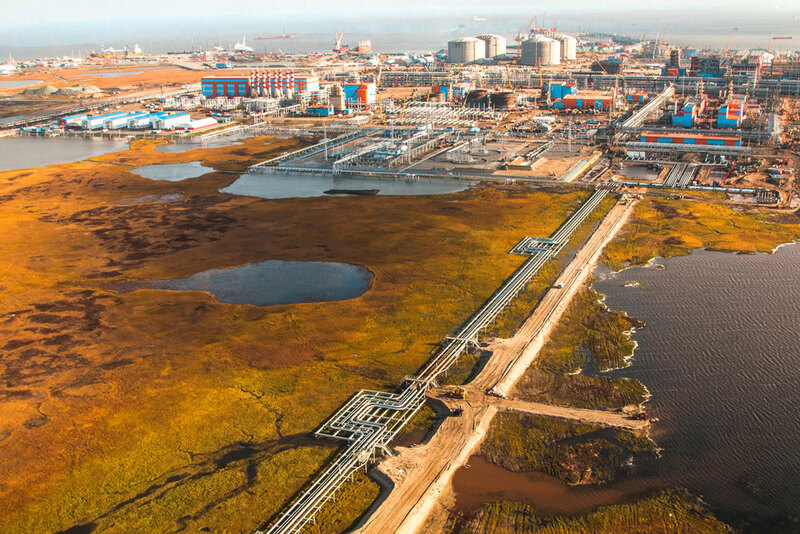 With this week’s official launch of the third train of the huge Yamal LNG plant, Novatek boosts production capacity on site to 16,5 million tons per year. The opening of the extended plant comes more than a year ahead of schedule, the company informs. «We have not only launched all three technological trains on budget, but have launched the third LNG train more than one year ahead of the planned original schedule,» says company CEO Leonid Mikhelson. «This fact is unprecedented for the industry plagued by massive cost overruns and project delays,» he adds. As the extended LNG plant was launched in Yamal, a unique shipping operation started on the Arctic coast of Norway. On 21st November, LNG carriers «Vladimir Rusanov» and «Pskov» placed themselves side-by-side in the Sarnes Fjord near North Cape and started reloading of LNG. The ice-protected «Vladimir Rusanov» had made it fully loaded from Sabetta, the Yamal terminal, while the «Pskov» had sailed from Rotterdam. The reloading is the first of a big number of ship-to-ship operations in the area. According to Radio Nordkapp, a local news company, there are several more tankers and support vessels in the area. The radio channel on Wednesday posted the first photos of the reloading. A total of 158 ship-to-ship reloading operations of the kind are to be conducted on site by June 2019. That means as many 316 port calls by large-scale carriers, Radio Nordkapp informs. Local journalist Kjell Bendik Pedersen says people in the area have reacted positively to the upcoming shipping activities. «They hope for local economic spin-offs and new jobs,» he says to the Barents Observer. It is Norwegian company Tschudi Shipping that is operator for the ship reloading. The company in September this year signed an agreement with Novatek that has a time frame of 2-3 years. It will provide a temporary logistics solution for Novatek, a company representative said. Jon Edvard Sundnes, Chief Executive Officer of the Tschudi Group, does not want to comment to the Barents Observer on the ongoing operation. The quick development of the Yamal LNG has significantly strained export capacities from Sabetta, and several additional LNG carriers have been commissioned following the launch of the second project train in August this year. The fleet of 15 carriers built for the project will not be complete before late 2019 and Novatek has hectically looked for alternatives as the LNG production hikes. Permanent reloading terminals are planned both in Kamchatka and in the Kola Peninsula, but these will not be completed before year 2022. The ship-to-ship reloading in Norway is a temporary solution, but could easily last for several years. Novatek started the first construction works on the desolate Yamal tundra lands in summer 2012 and in December 2017 started production at the first project train. The second train was launched six months ahead of schedule in August this year. The company now confirms that it is developing also a fourth train in the project. That will be based on a new technological solution. «The innovative fourth LNG train at Yamal LNG will be based on NOVATEK’s proprietary liquefaction technology called “Arctic Cascade” and will utilize Russian-manufactured equipment,» Mikhelson says. And more is in the pipeline. Novatek is with full steam preparing for the development of a second and third LNG project in the Arctic. The Arctic LNG 2 will be based on natural gas resourced from the Gydan Peninsula, while the Arctic LNG 3 is likely to use primarily resources from the offshore Severo-Obskoye field. Natural gas resources in and around Yamal are huge and Novatek aims at becoming world leader in LNG production. With the quickly growing production comes a similar need for export capacities. 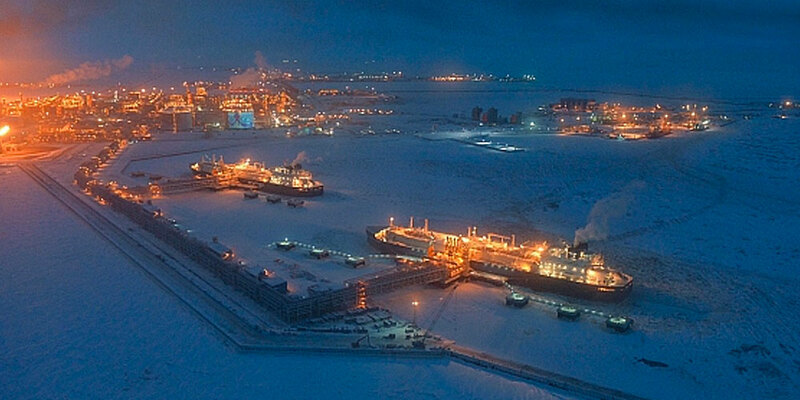 In the course of the next decade, Novatek’s annual LNG production in the Arctic could exceed 50 million tons. That would give a need for reloading capacities also in Arctic Norway for a long time ahead.